Zombie Boy and Zombie Girl are still “alive and well” and going about their living deaths on 3×5 sticky notes. Our friends the zombies are still basically harmless and have now found jobs! As a pre-school teacher, Zombie Girl shares her wisdom with a group of inquisitive children. Zombie Boy, meanwhile, as decided on a career as a fortune teller. Of course, the normal, random acts of zombie-ness occur on a frequent basis. 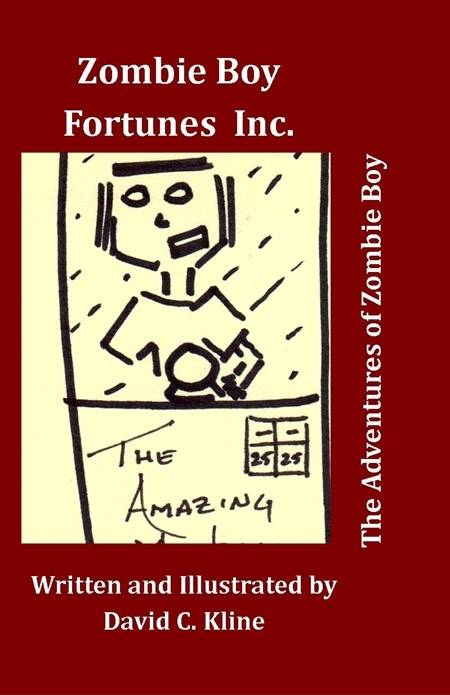 Get Zombie Boy Fortunes Inc. to see just what these two walking corpses have gotten themselves into. Also available in paperback and at Amazon.